Unicorn is a values-driven business, which sees success as something more than figures on a balance sheet. 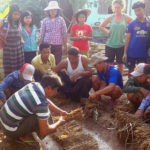 If we are providing a decent livelihood for our staff and our suppliers, if we are increasing the amount of land farmed sustainably and improving the environmental impact of our diet, if we are enabling good health through good food, if we are creating community wealth rather than shareholder wealth, if we are challenging traditional models of business ownership and control…then we are succeeding. We aim to provide secure employment for our members. We seek above all to provide a livelihood for ourselves with some control over our working environment. We accept the responsibilities and rewards of this challenge. We believe that all should have an equal opportunity to undertake paid work. Ignorance and prejudice should not be an obstacle to this. The ability to carry out a minimum of 20 hours useful work per week entitles a worker to apply for membership. The respect and income derived from a job are important to many people in our society which is one which values paid work highly. 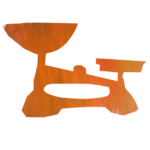 We aim to trade in wholesome foodstuffs and household goods of non-animal origin. We focus on foods which have undergone minimal processing. Specific product guidelines include the avoidance of animal derivatives, and where feasible, refined sugar and high levels of added salt. We strive to sell products of organic standard and maximum nutritional value whenever we can find or generate a market. Provision of educational materials help in this aim. We aim to trade in a manner which supports a sustainable world environment and economy. We trade preferentially in products which follow the “Fair Trade” ethos and we communicate with our customers about the problems with cash crop agriculture. We are concerned that much of world trade is to the disadvantage of poorer nations with a consequence for people’s health and lives. We operate a fund from which to support projects addressing and challenging this imbalance. 4% of our wage costs are contributed to this fund. We trade in products which produce minimum impact on the environment and we make decisions about our packaging with this also in mind. We aim to support like minded ventures, co-operatives or otherwise. We acknowledge both competition and co-operation as fundamental to human nature. We seek to encourage co-operation by operating a fund to support projects which share our vision of community and society in the United Kingdom. 1% of our wage costs are contributed to this fund. We promote co-operative structures and spirit through all our trading, social and educational activities. 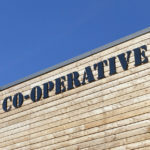 Co-operative businesses can look from the outside just like any other businesses, but what makes them unique is that they are owned and run not by institutional investors or distant shareholders, but by their members. Who those members are depends on the type of co-operative it is – the three most common forms are consumer co-ops (customers are the members, having come together to purchase goods or services), producer co-ops (such as farmers coming together to get their goods to market) and worker co-ops like ours, where the employees make up the membership. As members of a workers co-operative, we are all company directors. We take responsibility equally for the decisions that govern our business, from long-term strategy, to budgets and recruitment, to procedures that run the shop from day to day. Strong lines of communication and regular meetings connect each of us to all the diverse areas of the business. Within the co-op membership there is no top-down management system. 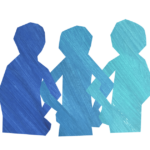 We aim for a flat structure in which all members are expected to self-manage, as well as simultaneously managing each other. This relies on a lot of initiative, hard work, and trust! As well as co-op members, we also employ a small pool of casual staff who fit their work at Unicorn around other commitments…or use it as a way of trying us out! Over half the current co-op membership joined Unicorn this way. Casual workers are paid 80% of members’ hourly rate, or the Living Wage Foundation’s ‘Real Living Wage‘, whichever is higher. From 3 members to 70, we have largely made our decisions through consensus, rather than majority voting. As you can imagine, this requires enormous patience and respect! Consensus may not always seem like the easiest or quickest method, but the advantages are worth the trouble. We learn from each other all the time, and are able to make strong, well-founded decisions upheld by a unified and active membership. This kind of decision making is one of the things that give every member a real sense of ‘ownership’ of the business; unlike in most jobs, we are not divorced from the decisions we make! A diverse range of skills is vital in any cooperative, and we know that the insight and energy of a new recruit is as valuable as the experience gained from long service. By offering a flat rate of pay, we encourage an equal sense of ownership and worth in all members. We hope our example will inspire others to pursue a cooperative way of working. We are always happy to give advice, answer questions, or arrange visits for people to learn more about how we work. 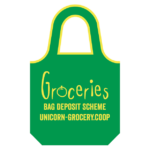 For more information, contact office@unicorn-grocery.coop. Unicorn sells most of the types of things you’d expect to find in a medium-sized supermarket, but we source our produce a little differently. We aim to trade in a way that is less exploitative of people, animals and the earth, whilst maintaining a product range that is accessible to the diverse community we serve. This is a continual balancing act!…. We choose to base the fund on our wage bill rather than our profits because in the world of corporate philanthropism, ‘profit’ levels can be interpreted and measured quite variably! Our wage bill is a clearly-defined amount, making this a clear and transparent way of measuring what we give. It also better reflects our growth as a business and means if and when co-op staff get better off (as wages increase), so do the projects we support. The total is split into two separate parts, the 1% and 4% funds. 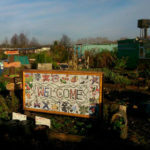 Growing Together is a small Manchester charity which runs therapeutic horticulture sessions for refugees and people seeking asylum. 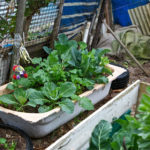 The project is based on a community allotment run on vegan organic principles. 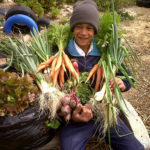 Established in 2002, Soil for Life is a non-profit company that assists Township communities in the Western Cape in South Africa to overcome hunger and poverty through the establishment of food gardens. Burma’s Network for Environment and Economic Development was established against the backdrop of the military regime’s repressive governance directed against ethnic minorities. NEED aims to work with people across all ethnic groups to build a stronger civil society that empowers rural communities to develop sustainable futures. Set up by a couple from the Chikukwa region, PORET is a community demonstration centre for sustainable food growing methods. They also run a pre-school for two to five years olds, which includes a food garden for the thirty or so kids who travel there each day. We understand that tax is at the heart of society and we’re proud of our contribution. We know that our customers would not expect anything less from us, and hopefully wouldn’t need to see a label to prove it. But we are keen to support the Mark and promote its adoption more widely. In recent years, we have seen the naming and shaming of multinational corporations that have chosen to use tax havens and artificial structures to avoid paying millions in tax. These companies inflate their profits whilst robbing the public of vitally needed funds.Where you see the Mark you know that a company is open and transparent about its tax affairs and seeks to pay the right amount of corporation tax. The Mark aims to offer businesses that know they are good taxpayers the opportunity to display this. Part of the criteria for the Mark is that the public should be able to find out easily what the company or organisation pays in tax. Click to view our year-end accounts for 2017, 2016, 2015, 2014, 2013, 2012, 2011, 2010 and 2009. To see our policy on paying tax, click here. Instead of carbon-offsetting, it’s the core activities of a business that need to become sustainable, and that’s what we focus on. 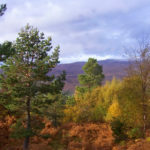 Having said that, even the best-intentioned business still has a considerable carbon footprint, so we make a “carbon tax” contribution to the work of Scottish charity Trees for Life, working to restore 600 square miles of the Caledonian Forest. The great forest of Caledon used to cover much of upland Scotland, as a vast primeval wilderness of Scots pine, birch, rowan, aspen and juniper. Land clearance for timber and the widespread introduction of sheep have seen this forest decline almost to the point of no return. Much of the Highlands of Scotland is a deforested “wet desert”, rather than the unspoilt wilderness we imagine. Trees for Life is working to restore the Caledonian Forest to a large contiguous area in the Highlands, linking up some of the best of the remnants, and aiming eventually to reintroduce the missing species of wildlife when enough habitat has been restored to support them. Their vision is to restore a wild forest, which is there for its own sake, as a home for wildlife and to fulfil the ecological functions necessary for the wellbeing of the land itself. 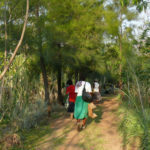 Trees for Life is unique in being the only organisation working specifically towards this end. In 2012 Trees for Life planted its one millionth tree. That year, our contribution planted 577 trees at Dundreggan, near Loch Ness, mainly Scots pine and birch with a mix of eared willow, alder and rowan. Volunteers from all backgrounds work at Dundreggan to collect seeds from local trees and grow them in Trees for Life’s tree nursery. They then plant these trees in carefully protected sites where they cannot be damaged by deer. Irregular spacing helps to avoid the straight lines of plantations so the trees grow naturally across the landscape. Over the years, these trees will transform open hillsides into forest, rich in wildlife and protected for future generations. As this land will be forest into perpetuity we see it as a way of soaking up some of the carbon dioxide we generate as a business. 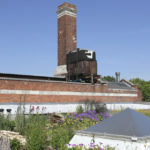 The top of our building is home to an 825 square metre ‘living roof’, providing pond and meadow-like habitat for wildflowers, damselflies and many more species…. The roof is also home to a 3.2KW solar thermal array contributing to our building’s hot water requirements. Top quality insulation and windows minimise heat loss, while solar PV panels decrease electricity use. Between September 2016 and September 2017 we generated 8316 KWh!